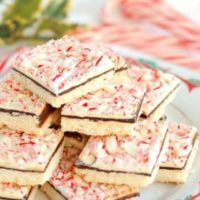 Peppermint bark is a favorite Christmas treat and it’s pretty easy to make, except that you have to temper the chocolate. No tempering is needed for Peppermint Bark Shortbread. When you heat up real chocolate (not chocolate chips or candy coating) the cocoa butter melts and the chocolate becomes liquid. 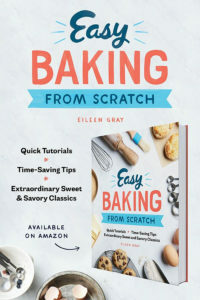 As the chocolate cools you must control the cocoa butter crystallization or the chocolate will not set with the desired snappy bite and glossy finish. If you’ve ever unwrapped a chocolate bar and discovered white “bloom” on the surface that’s because the chocolate melted and cooled without being properly tempered. 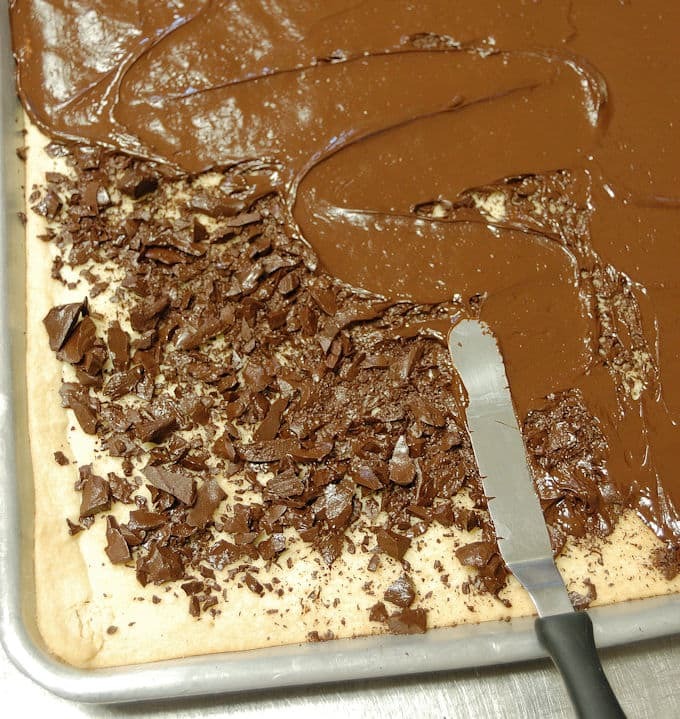 Tempering chocolate is a bit tricky. It involves heating, melting, carefully stirring and cooling, and then reheating before you can make your candies. If you let the chocolate get too warm or too cool you have to start the whole process over. Dark chocolate, milk chocolate and white chocolate each have a different set of temperatures to work within. 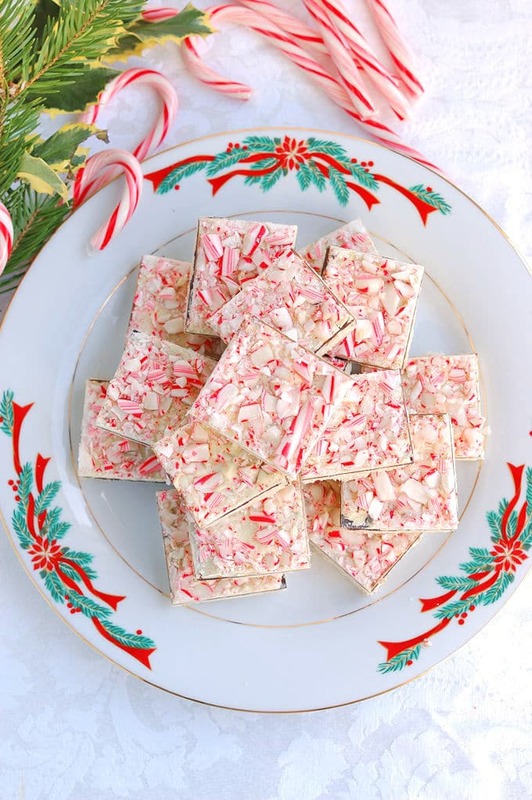 I make peppermint bark every Christmas to enjoy for ourselves and to give away in gift bags. 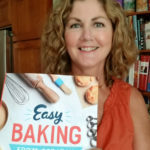 It’s easy for me because, lucky me, I have a small tabletop tempering machine. 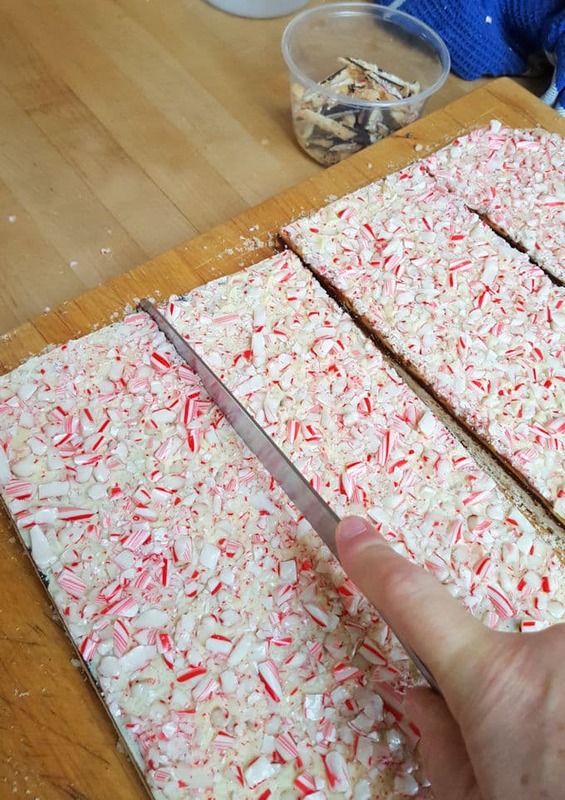 I know tempering can be a bit fussy and intimidating for many home bakers, so I came up with this recipe for Peppermint Bark Shortbread instead. 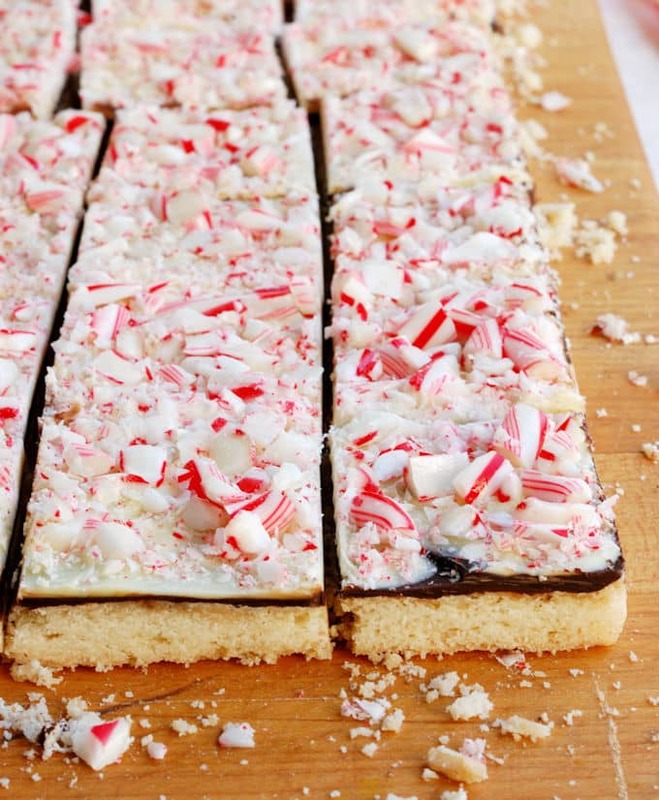 You still get the yummy crunchy peppermint bark, but you don’t need to temper the chocolate. You don’t even have to pre-melt the dark chocolate since the warm shortbread does the work for you. The chocolate is melted onto the shortbread cookie, so if it sets up with a less than perfectly glossy finish you won’t notice. 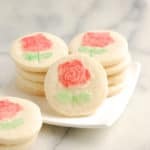 Plus, I love that it’s a cross between a cookie and a candy. 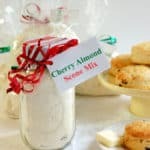 So, now that you don’t need to temper the chocolate, the worst part of making this recipe is unwrapping the candy canes. Seriously, they’re a pain to unwrap and there’s no way to rush it. The second worst part is crushing the candy canes. It’s a bit messy to say the least. Otherwise it comes together very easily. Wait until the dark chocolate is completely set before spreading the melted white chocolate on top. 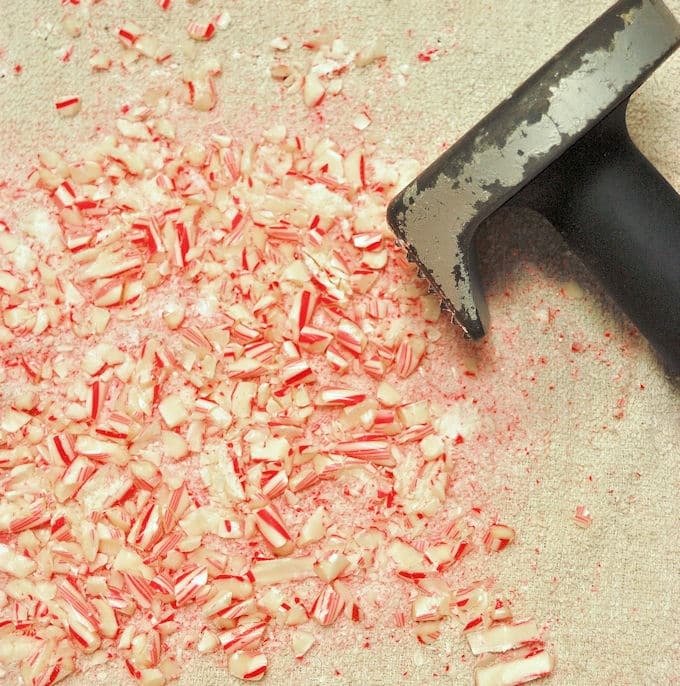 Wrap the candy canes in a clean but old kitchen towel and crush into small bits. Use a knife warmed in hot water and gently saw through the candy canes and chocolate before cutting the cookie. 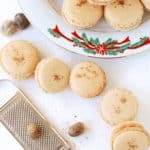 These cookies are even better the day after they’re made. The shortbread softens just a bit and melds nicely with the chocolate coating. 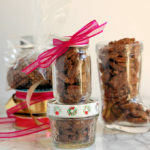 I think these would be a lovely addition to any holiday cookie tray or gift tin. This is a cross between a cookie and a candy. 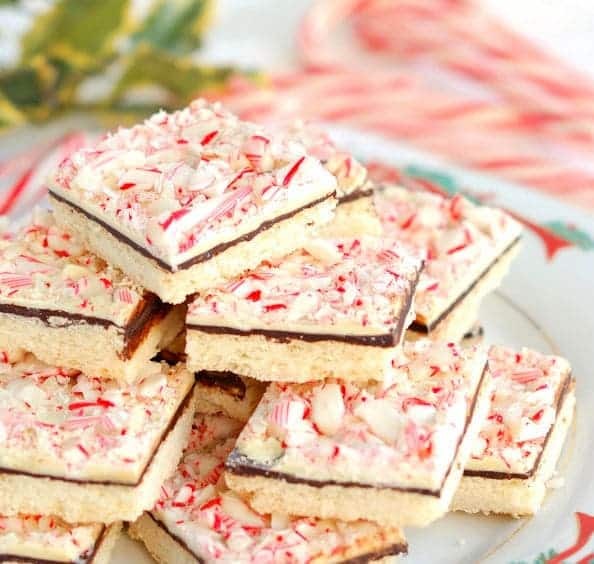 Buttery shortbread topped with peppermint bark. Gently work the dough to the edges of the pan. To cut use a long serrated knife. Run the knife under hot water (or dip in a pitcher of hot water), wipe the blade clean. 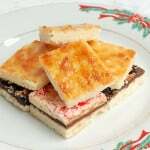 Use a gentle sawing motion to cut through the candy bits and chocolate layers before cutting into the shortbread. The warm knife will make a clean cut in the chocolate layer. Repeat warming and wiping the knife between each cut. 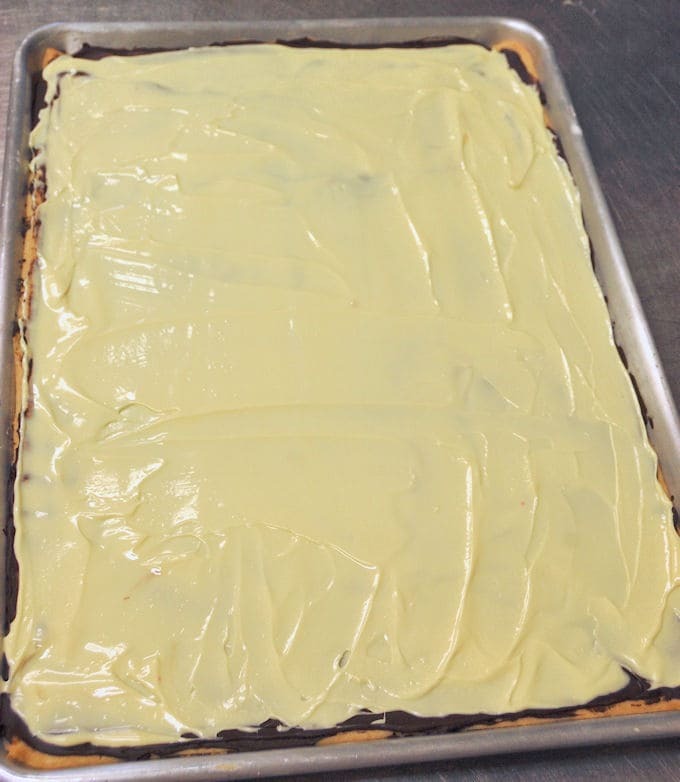 This recipe makes enough dough to fill a (13x18) 1/2 sheet pan. You can use a 9x13 baking pan but you may have a little extra dough. 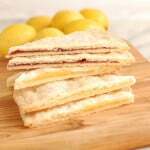 The recipe can also be halved and baked in a 1/4 sheet pan (9x13). A 1/2 sheet pan yields 48 cookies. First trim the ragged edges, then cut the sheet in 1/2 across the short side and then each 1/2 into 1/4s. Turn the sheet to the long side and cut into 6 portions for a total of 48 square. I find it easiest to make the cookies the day before cutting. The cookies softens just a bit so it's less likely to crack while you cut.